This is no longer the era of recovery. It is the time of the Golden Opportunity. The sting of the global recession has faded, and there’s no better market to enter right now than luxury products and services. 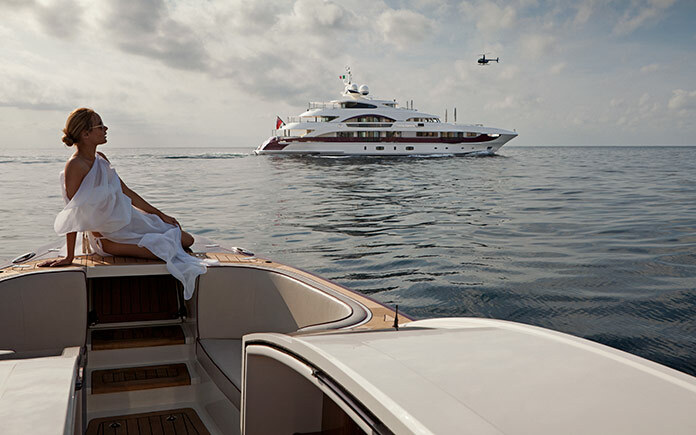 For years, the luxury business goods and services market, has had more buyers than goods fueling explosive growth in the sale of luxury clothing, accessories, automobiles, private jets, yacht charters, travel, and real estate services. Led in large part by heavy travel and consumer spending by Asians in Asia and the other continents Asians visited, luxury goods purveyors have seen their sales skyrocket. A burgeoning upper-middle class in China, India, Russia, and – to some extent – the United States, has been fueling growth in luxury brands for years. The growth in sales of these luxury goods and the value of the luxury brands was driven by higher prices, rather than breakaway products, or value to the consumer. In an effort to maintain exclusivity, and due to greater demand than supply, prices ballooned over the years as well. This has all been fantastic news for luxury brands, manufacturers, and service providers. However, the pendulum is beginning to swing. What was once a bullish sellers paradise is about to become a buyers playground. It is undeniable that the demand for luxury goods remains constant. That means people have no problem spending money in the luxury business sectors, if and when they have money. There is a great deal of uncertainty in the global markets and economic outlook and political upheavals have caused consumers to step back and analyze their spending habits. Prior to making purchasing decisions, consumers want information about the product or service they want to buy, and the company offering the luxury goods. Private jet builders, yacht charter services, hypercar dealers, and other exclusive, high-end merchants are finding themselves having to do what they haven’t done in a very long time: fight. Increasing GDPs across the globe and massive economic booms in China and India are introducing more and more purchasers with more and more purchasing power to the market. Luxury brands sales growth is projected to stall. There are more ways to enter luxury than ever before. Wearable tech, VR, smart home devices, and a boom in menswear providers and stylists are just a handful of exciting and emerging products. Personal storytelling and branding – driven by the likes of Rich Kids of Instagram and other affluent influencers – has skyrocketed the “sharing economy” (i.e. Uber, AirBnB, etc.). The carefree spending lifestyles of millennials. These factors are forcing luxury goods and services providers across the board to digitize their products, introduce new rewards and incentive programs, offer discounts and markdowns, and do just about anything they can think of to attract a portion of this growing pool of high-end consumers inundated by overstocked, competitive, and varied luxury options. Luxury businesses that create quality products and present value see sales hold steady or increase, even in a down market. Take for example the automotive manufacturer Ferrari. They experienced a 17% growth in sales of its 8-cylinder automobile models pushing their profit to records level in 2015. The global business jets market was worth USD 20.9 billion in 2013 and is projected to grow at a CAGR of 6.86% to USD 33.8 billion by the end of 2020. LVMH Moët Hennessy Louis Vuitton, the world’s leading luxury products group, recorded revenue of €35.7 billion in 2015, an increase of 16% over the previous year. 2015 was the most successful year ever for the BMW Group with annual sales setting a new record for the fifth year in a row. A total of 2,247,485 BMW, MINI and Rolls-Royce vehicles were delivered to customers around the world last year, an increase of 6.1% on the previous year.